Sudip Datta Bhowmik was reportedly investigating the "financial irregularities" at the battalion. Agartala: Two more Tripura State Rifles (TSR) personnel have been arrested in connection with the killing of senior journalist Sudip Datta Bhowmick at the force's 2nd battalion headquarters, the police said. Nayek Amit Debbarma and rifleman Dharmendra Kumar Singh were arrested last night on charges of criminal conspiracy, Deputy Inspector General of Police (Southern Range) Arindam Nath said. They have been sent to custody for seven days. 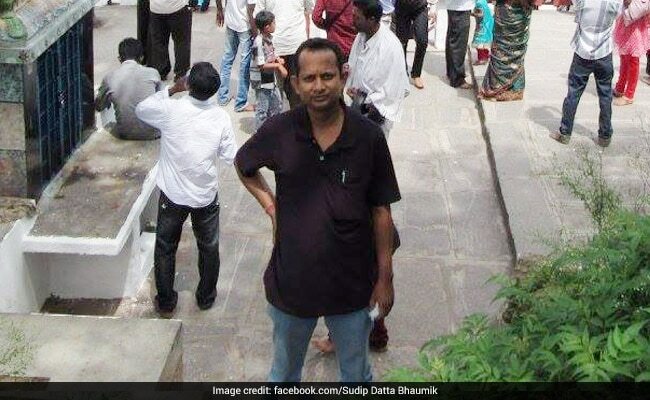 Sudip Datta Bhowmik, 50, a crime reporter with Bengali daily Syandan Patrika and TV channel "Vanguard" in Tripura, was shot dead allegedly by a TSR personnel at the headquarters of 2nd battalion in RK Nagar, around 30 km from Agartala, on Tuesday. Eyewitnesses reported that the journalist had an argument with Nandu Reang, the accused, following which he pulled out his service revolver and shot at Mr Bhowmick. He died on the spot and the soldier was arrested. A day later, Tapan Debbarma, a commandant of the Tripura State Rifles, who the journalist had gone to meet, was also arrested as it is on his alleged orders that Reang, Debbarma's personal bodyguard, shot at Mr Bhowmik. The journalist's mobile phone was recovered from the commandant's possession. According to the editor of Syandan Patrika, Subal Kumar Dey, Mr Bhowmik, who had written 11 stories against Tapan Debbarma's alleged misdeeds, was called by the commandant at the battalion's headquarters for a meeting. The journalist was reportedly investigating the "financial irregularities" at the battalion, known for its counter-insurgency operations in Tripura. Mr Bhowmik is the second journalist to have been killed in the state in the last two months. In September, a 28-year-old television journalist, Santanu Bhowmik, was killed by a mob while covering a clash in Mandai, 35 km from Agartala. He was covering a political rally organised by the Indigenous Peoples Front of Tripura (IPFT). His mutilated body was found the next day.